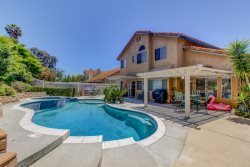 Temecula Vacation Rentals was formed to fill the need for a reasonably priced property management company with a focus on customer experience and property occupancy. We are driven to deliver a superior experience to our guests and to allow homeowners a stress free experience when it comes to guest bookings, maintenance, housekeeping and cash-flow. Please contact us at 951-ESCAPE for additional information. Additional services include Design, Furnishing, Landscaping, Marketing, Absentee Owner Services, etc. are available. Whatever your needs, it's likely we can accommodate them. Costs vary by job and property. Please contact a representative for detailed quotes. We invite you to take advantage of one of our complimentary property evaluations. We'll provide you with a detailed analysis of projected income, amenity and inventory requirements.